The park lies between the Pacific Ocean and the base of the Santa Ynez mountains along Highway 1 off the Ventura Freeway. The views of the Channel Islands are breathtaking, and are most notable at dusk. 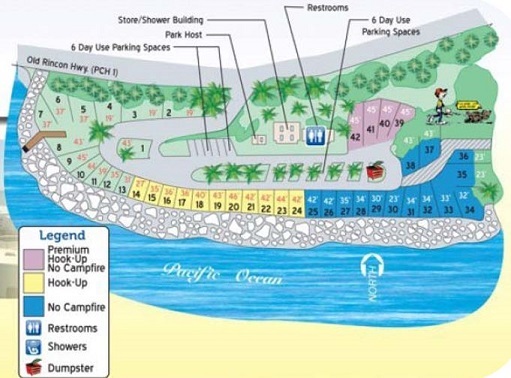 Campsites are highly sought after at this small picturesque park, which is footsteps away from the Pacific Ocean.